This is 20 Gauge Federal Game Shok 2 3/4" 1oz. #6 Shot Ammo. 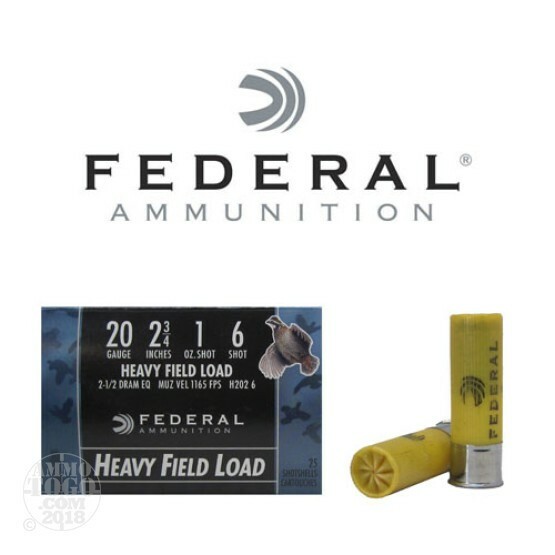 Federal Game Shok loads are great for the upland birds, squirrel and rabbit. Muzzle velocity of 1165fps. This ammo comes packed in 25rd. boxes.